It always ran pretty well for me, although on the highest settings it definitely feels quite a bit smoother after this update. The developer said they upgraded the game engine version (Unity) as well as "all game data has been reorganized to optimize the way we store data and manage certain game states". Drones also got some nice improvements with this update which "allows them to deliver to the Refinery and improves how they interact with some targets/destinations" and they can also now take food from silos and dump them into corrals making them really quite useful. They also added a Korean translation, overhauled the French translation and updated the Chinese translation. Of course, the update also includes various bug fixes. If you haven't tried it yet, you're missing out. 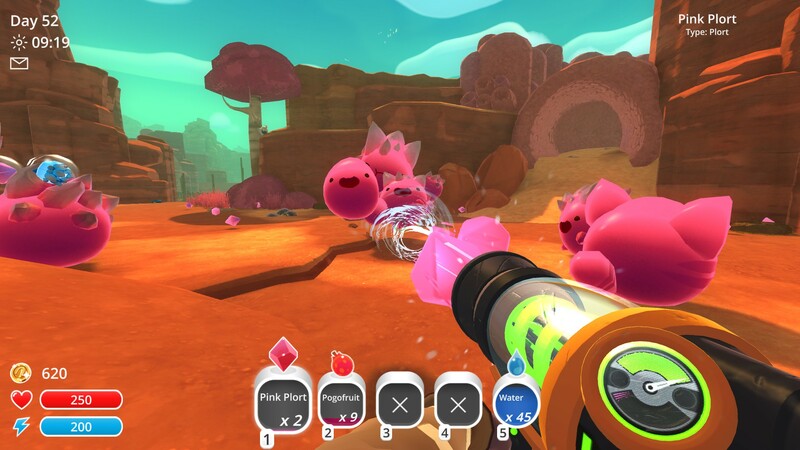 It's such a wonderful game to relax with, especially with the option to turn off the aggressive "tarr" slimes which can cause an awful mess. This is one of those games that I need to get even though I have a huge backlog.